Dot–A Slick Braille Smartwatch #WearableWednesday « Adafruit Industries – Makers, hackers, artists, designers and engineers! Here in Philly I’m friends with someone that works as an IOS accessibility consultant. He’s been blind since birth and it’s really cool to talk with him about devices–especially wearables. He can remember some pretty clunky devices which are still being used today. He’s also done Braille graffiti–yes, that’s a thing. 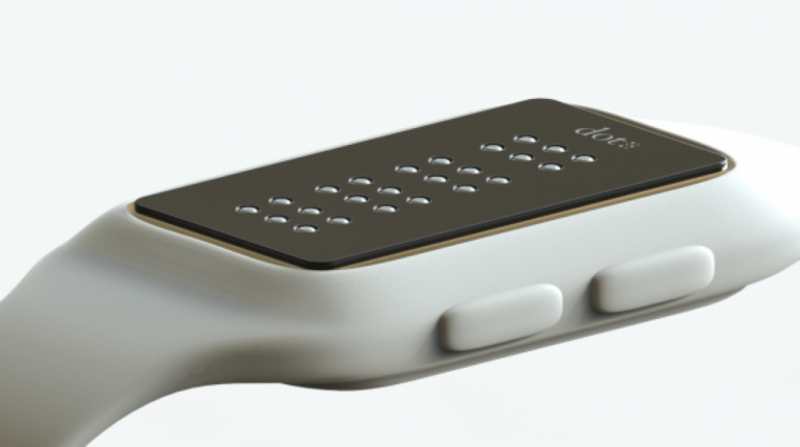 Anyway, I’ve just sent him an email about this cool Braille smartwatch that I found on Wareable because it’s tiny and it looks like the next step in quiet communication. With an epic name like Dot, it’s prepared to give information silently, which is so much more convenient if you are in the middle of a bus ride or a meeting. The smartwatch is being developed in South Korea and works by raising and lowering the dots on the display creating a haptic experience. This may not seem like a big deal, but you have to understand the costs for typical devices–try $2,000 or higher for a typical reader. That’s enough to keep many people from learning Braille. The hope of this company is that the watch will not only handle functions like time, navigation and messaging, but also e-book reading. Right now only a small percentage of books is even translated into Braille. So, this little device could open a new chapter in Braille education. Of course there are other uses for the technology according to Executive Advisor, Roy Kim. The Braille at ATMs currently tells you “This is an ATM”, which isn’t super helpful. I think these sorts of public places, and the public sector in particular, could become our largest market in the future. They are already testing modules at ATMs and train stations. So, someday there may actually be useful information out there for the visually challenged. I can’t wait to hear what my friend has to say about all of this. I’m hoping he will become a test user, so cross your fingers. So far the company has been getting good press and is on their second round of funding. If all goes well, they are planning to ship to the US in December with a $300 price tag. On the open source side, there have been some interesting developments for people with no or low vision with Raspberry Pi. One group has developed a way to use Emacspeak (a speech interface and audio desktop), while another is working on a Braille dicta-speaker. As usual, hackers are coming up with great affordable solutions. 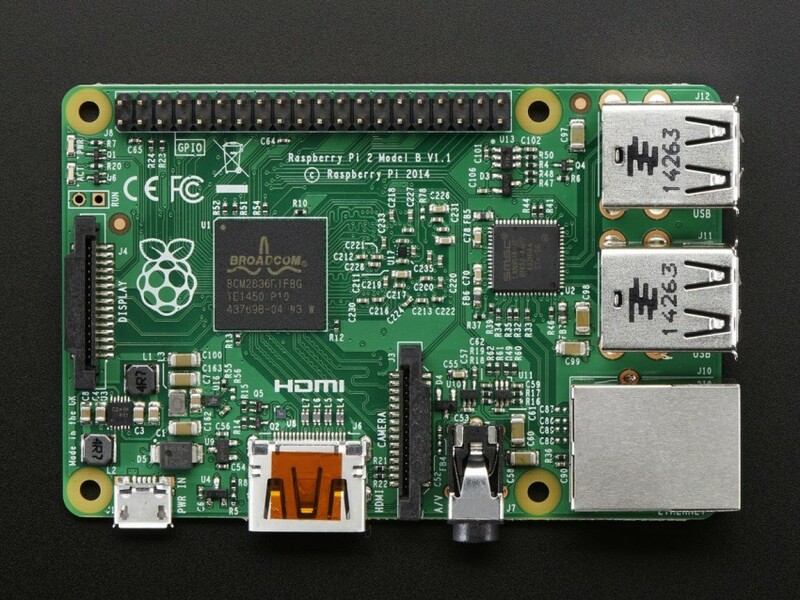 If you think you would like to contribute, get yourself a Raspberry Pi. We would love to hear what you come up with–send photos with captions.